The Sentinel-5 Precursor mission is a single-payload satellite in a low Earth orbit to be launched in summer 2017. The mission will provide daily global information on trace gases and aerosols important for air quality, climate forcing and the ozone layer. The only payload of the mission is the TROPOMI instrument which is a nadir push-broom spectrometer measuring in the ultraviolet, visible, near-infrared and the shortwave infrared. The selected wavelength range allows for the observation of key atmospheric constituents including O3, NO2, CO, SO2, CH4, CH2O, aerosols and clouds. In this special issue, scientific and operational algorithms are described and verified, which have been developed to derive the various data products from the mission. The shortwave infrared (SWIR) spectrometer module of the Tropospheric Monitoring Instrument (TROPOMI) is used to measure atmospheric CO and methane columns from space. 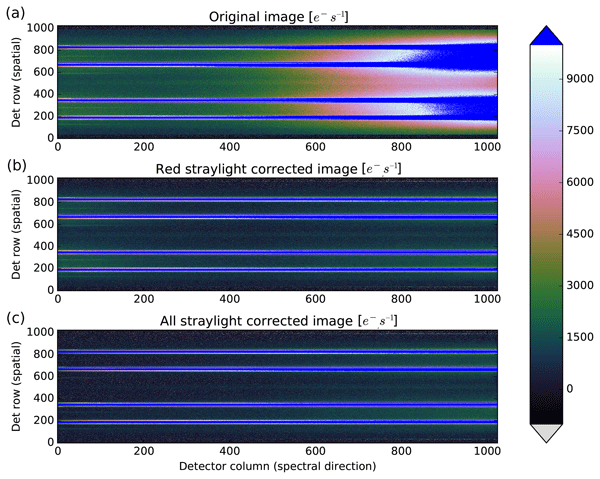 A method has been developed and applied in an on-ground calibration campaign to characterize stray light in detail. An algorithm was then devised to correct in-flight observations in near-real time, reducing the stray-light signal sufficiently for accurate gas-column retrievals. This paper introduces the formaldehyde (HCHO) tropospheric vertical column retrieval algorithm implemented in the TROPOMI/Sentinel-5 Precursor operational processor, and comprehensively describes its various retrieval steps. Furthermore, algorithmic improvements developed in the framework of the EU FP7-project QA4ECV are described for future updates of the processor. Detailed error estimates are discussed in the light of Copernicus user requirements and needs for validation are highlighted. In this paper we present the operational cloud retrieval algorithms for the TROPOspheric Monitoring Instrument (TROPOMI) on board the Sentinel-5 Precursor (S5P) mission: OCRA (Optical Cloud Recognition Algorithm) retrieves the cloud fraction using measurements in the UV–VIS spectral regions, and ROCINN (Retrieval of Cloud Information using Neural Networks) retrieves the cloud top height and optical thickness using measurements in and around the oxygen A-band in the NIR. In 2017, the TROPOMI spectrometer will be launched on board the Sentinel 5 Precursor satellite. It will deliver, among other things, daily global measurements of methane as part of the Copernicus atmospheric services. 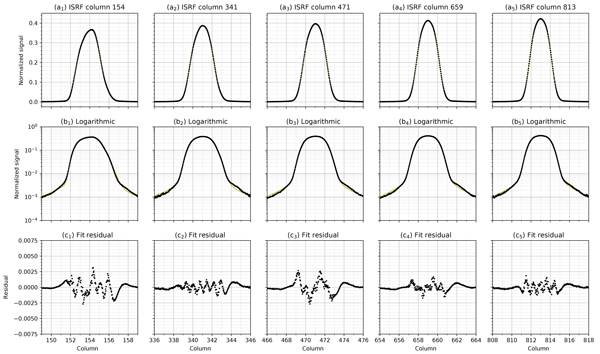 In this paper, we present the algorithm that is used for operational data processing of the methane product from TROPOMI measurements of the shortwave and near-infrared spectral range, and we discuss its performance using realistic simulated measurements. The tropical tropospheric column ozone (TCO) from 5 GOME-type satellite instruments were harmonised to get a consistent time series of tropospheric ozone for 20 years. The time series showed a global ozone trend below 10 km of 0.7 DU per decade. Also the regional trends were analysed and trends up to 1.8 DU per decade or decreases as low as 0.8 DU per decade were observed. The TCO will be part of the operation product for Tropomi/S5P and thereby extended for at least 7 years. In 2016, the Sentinel 5 Precursor mission will be launched, with the TROPOMI instrument as its single payload. It will deliver daily global measurements of carbon monoxide for air quality monitoring as part of the Copernicus atmospheric services. 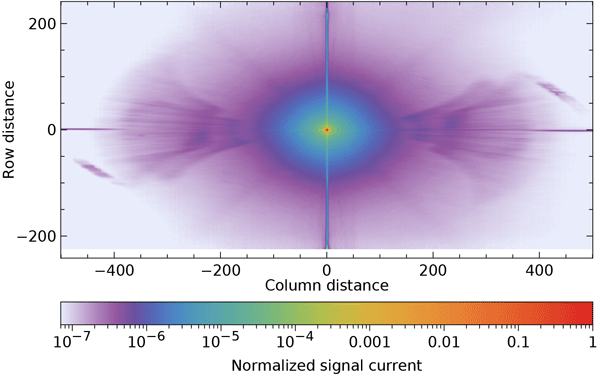 In this paper, we focus on the operational data processing of the CO product from TROPOMI measurements of the shortwave infrared spectral range, and we discuss the algorithm's maturity. We have developed an algorithm to measure HDO (heavy water) in the atmosphere using the TROPOMI satellite instrument, scheduled for launch in 2016. Giving an insight in the history of water vapour, these measurements will help to better understand the water cycle and its role in climate change. We use realistic measurement simulations to describe the performance of the algorithm, and show that TROPOMI will greatly improve and extend the HDO datasets from the previous SCIAMACHY and GOSAT missions. 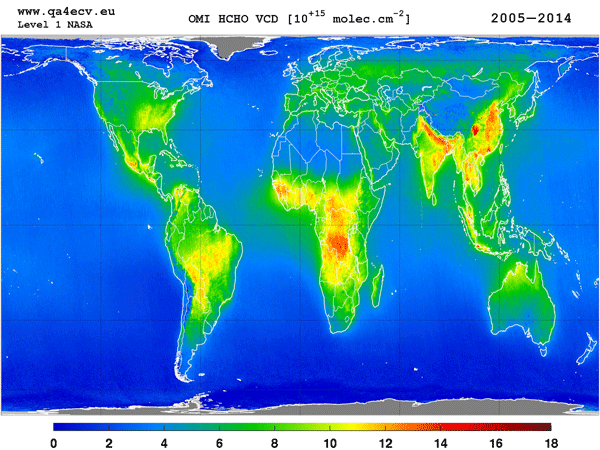 Here, we present a 17 years tropical tropospheric ozone columns dataset (1996–2012) using GOME, SCIAMACHY, and GOME-2 data, developed as part of the verification algorithm for TROPOMI on S5p mission.The uncertainty is less than 2 DU. Validation with SHADOZ ozonesonde data showed biases within 5 DU and RMS errors less than 10 DU. Comparisons with tropospheric ozone columns derived from limb–nadir matching showed that the bias and RMS are within the range of the CCD_IUP comparison with the sondes. Our manuscript investigates the potential of the upcoming TROPOspheric Monitoring Instrument (TROPOMI) instrument for the retrieval of the chlorophyll fluorescence signal emitted in the 650-850 nm spectral range by the photosynthetic machinery of green plants. We find that TROPOMI will allow substantial improvements in the space monitoring of fluorescence with respect to current spaceborne instruments such as GOME-2 and SCIAMACHY.